In the mysterious tension between God’s sovereignty and intercessory prayer, I tend to find myself doubting that my petitions could really matter. After all, He knows what’s best for my loved ones. Maybe the suffering I’m praying will be removed from one friend is forming a deep well of compassion within her. Maybe the path that dear relative is walking down is actually bearing fruit in him that I cannot yet see. I know I lack the full wisdom of God, so why pray very specifically? It’s not a popular Christian sentiment, but am I the only one who doubts whether my prayers even do anything at all? God was so enraged with the Israelites and their golden idol that He was actually ready to destroy His chosen people and start over with Moses and his descendants. But rather than grimly accepting such a fate, Moses had the gall to push back. He didn’t see himself as a powerless player in this scenario; he possessed such understanding of the partnership the Lord had brought him into that he believed his own voice had value. Moses knew that God had chosen to have a real relationship with his little human self, and that the weight of love compelled Him to include Moses in His plans. Don’t do it, Moses urged. Relent from Your anger and glorify Yourself through this wayward people. And, crazily enough, it worked. Moses’ intercession impacted the heart of God and the fate of the Israelites was changed. What would happen if you and I believed that our prayers mattered too? Even with the limitations of our finite perspectives, the Lord has shown that He desires the partnership of our prayers. He has created us to be His beloveds and His friends, and our participation in His kingdom work is part of His great plan. 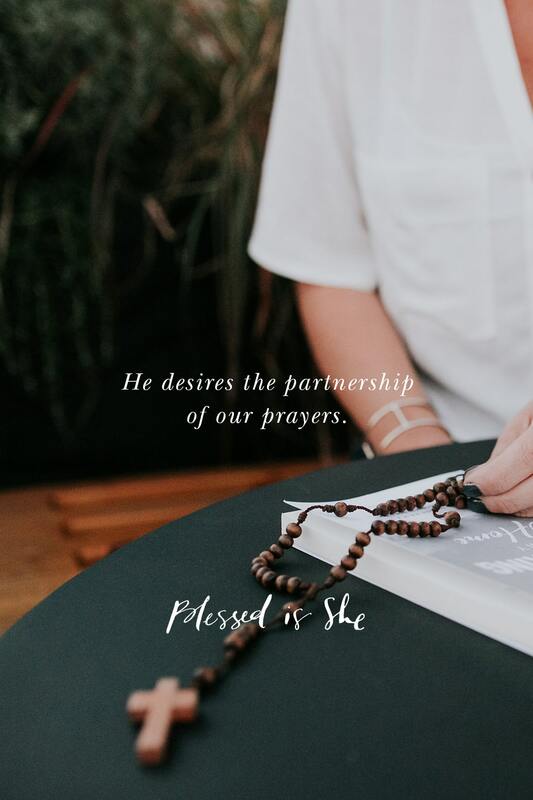 The Lord has shown that He desires the partnership of our prayers. So let’s be bold like Moses. Let’s pray with humility and an openness to God’s will, yes, but let’s be unafraid to petition Him for big things. He may just be waiting for us to ask. Wow. Yes yes yes! Beautiful and clarifying. Thank you. This devotional is a plumb line for me. God bless. Thank you and shared to Facebook. God Bless. I too am a convert to the Catholic faith. Thank you for your reflection on how God invites us into prayer with him. I love the activity of prayer and often find myself smiling and laughing with a God who loves me and has a wonderful sense of humor in my daily life. Blessings to you and your family Shannon. I love this and it is so relatable. I too sometimes question whether my prayers will be answered and I am too impatient at times that I give up hope because they weren’t answered right away. Thank you for sharing.